Pest description and crop damage Adults are about 0.2 inch long, with a light yellow V on their back at the base of the wings. They vary from light brown to green. Lygus bugs use piercing-sucking mouthparts to feed on the umbels, which causes aborted buds, blossom drop, and shriveled seeds. 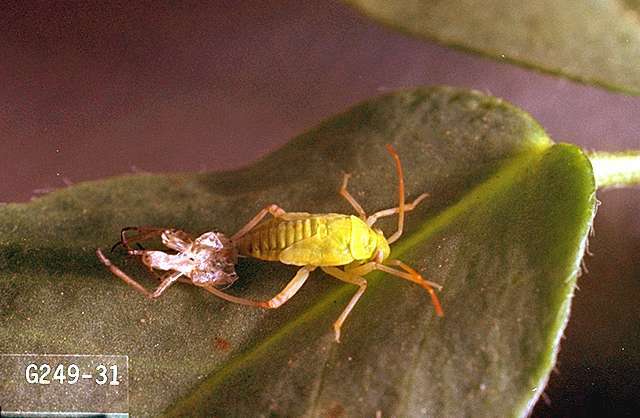 Adults and late stage nymphs are the most injurious stages, but the smaller nymphs are easiest to control. Scouting and thresholds Lygus bugs move into carrot fields in the late spring and early summer. 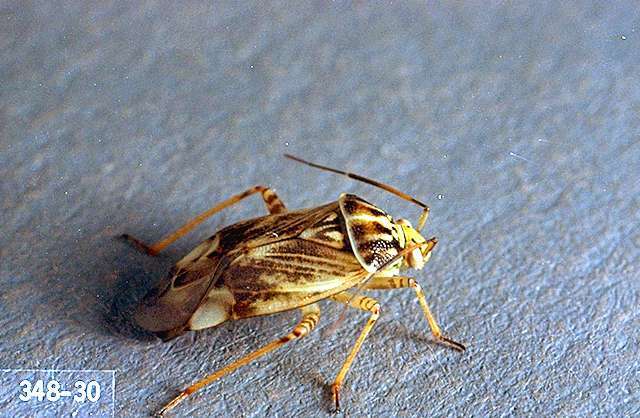 During the prebloom period growers should scout for lygus bugs in the morning or evening. 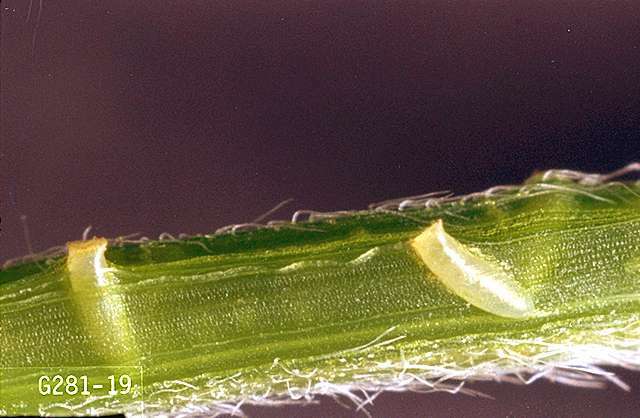 One lygus bug per umbel can result in economic damage in carrot seed crops. acephate (Acephate 97UP, Orthene 97) at 1 lb/a (1.03 lb ai/a). REI 24 hr. For suppression of lygus bugs. Use of a buffering agent and anti-drift agent is suggested. Allow a minimum of 7 days between applications. Do not apply more than 2 lb/a (1.06 lb ai/a) per crop year. Do not apply through any type of irrigation system. This product is highly toxic to bees exposed to direct treatment on blooming crops or weeds. Do not apply to blooming carrot seed crops during the pollination period. Do not spray if there is another seed field within a half mile that is being pollinated. No portion of treated plants can be used for food or feed. 24c SLNs: Acephate 97UP ID-090013 (expires 12/31/19), OR-090024 (expires 12/31/19); Orthene 97 OR-090025 (expires 12/31/20), WA-090021 (expires 12/31/18). azadirachtin (Aza-Direct, Neemix 4.5)-See label for rates. PHI 0 days. This is a botanical insecticide with ingestion and contact action that kills immature stages by interfering with molting; also reduces damage by repelling and deterring feeding. Apply at 7- to 10-day intervals, when pests first appear and are in the early nymph stage. Repeat applications break the life cycle of the pest. Some formulations are OMRI-listed for organic use. bifenthrin (Bifenture EC, Brigade 2EC) at 3.9 to 6.4 fl oz/a (0.06 to 0.1 lb ai/a). REI 12 hr. Allow at least 21 days between applications. This product is highly toxic to bees exposed to direct treatment or residues on blooming crops or weeds. Use prebloom (allow 5 days before introducing pollinators) or after pollination. Do not exceed three applications per crop year. Extremely toxic to fish and aquatic invertebrates, so follow buffer zone restrictions on the label. Do not apply through chemigation. No portion of treated plants can be used for food or feed. 24c SLNs: BifentureEC (Idaho and Washington only) ID-080010 (expires 12/31/19), WA-070014 (expires 12/31/23); Brigade 2EC (Oregon only) OR-070014 (expires 12/31/18). chlorpyrifos (Lorsban Advanced) at 1 qt/a (0.94 lb ai/a). PHI 7 days. REI 24 hr. Apply after carrots have started to bolt and when field counts or crop injury indicates that damaging pest populations are developing or present. Do not make more than one application per year. This product is highly toxic to bees exposed to direct treatment or residues on blooming crops or weeds. Toxic to fish, aquatic invertebrates, small mammals and birds. Follow mandated buffer zone restrictions on the label. Do not apply through any type of irrigation system. No portion of treated plants can be used for food or feed. 24c SLN: OR-090011 (expires 12/31/18), WA-090011 (expires 12/31/21). Oregon and Washington only. gamma-cyhalothrin (Declare) at 0.01 to 0.015 lb ai/a. REI 24 hr. Do not exceed 0.06 lb ai/a per season. This product is highly toxic to bees exposed to direct treatment or residues on blooming crops or weeds. The low rate may be applied from late evening to midnight during bloom. Do not apply at the 0.015 rate to blooming seed crops. Toxic to fish and aquatic invertebrates. Do not apply within 25 ft of an aquatic habitat, 150 ft if applied by air. Apply with ground or air equipment. Section 18 label allows application in Idaho and Oregon only. lambda-cyhalothrin (Paradigm VC, Silencer VXN, Warrior II with Zeon Technology) at 0.02 to 0.03 lb ai/a. REI 24 hr. Do not exceed 0.12 lb ai/a per season. This product is highly toxic to bees exposed to direct treatment or residues on blooming crops or weeds. The low rate may be applied from late evening to midnight during bloom. Do not apply at the 0.03 rate to blooming seed crops. Toxic to fish and aquatic invertebrates. Do not apply within 25 ft of an aquatic habitat, 150 ft if applied by air. Do not apply through any type of irrigation system. No portion of treated plants can be used for food or feed. Section 18 labels for Paradigm VC and Silencer VXN allow applications in ID, OR, and WA only. 24c SLNs for Warrior II: OR-090017 (expires 12/31/19), WA-100002 (expires 12/31/20), ID-090011 (expires 12/31/19). naled (Dibrom 8E) at 1 to 1.5 pints/a (0.9 to 1.4 lb ai/a). REI 48 hr. Do not apply more than 3 pints/a (2.8 lb ai/a) per year. This product is highly toxic to bees exposed to direct treatment on blooming crops or weeds. Allow 48 hr after application before introducing bees for pollination. Do not apply if another seed crop within half a mile is being pollinated by honeybees. This product is toxic to fish, aquatic invertebrates, and wildlife. Do not apply directly to water. Do not apply by ground within 25 feet of bodies of water. Do not apply by air within 150 feet of bodies of water. Do not apply through any type of irrigation system. No portion of treated plants can be used for food or feed. 24c SLNs: OR-990032 (expires 12/31/20), WA-990028 (expires 12/31/18), ID-010017 (expires 12/31/19). novaluron (Rimon 0.83EC) at 9 to 12 fl oz/A (0.06 to 0.08 lb ai/a). PHI 14 days. REI 12 hr. Begin application when plant bugs appear and oviposition is initiated. Repeat at 7- to 14-day intervals. Rimon will not control adults. Do not apply more than 48 fl oz/a (0.3 lb ai/A) per season. Do not apply by air equipment within 250 ft of bodies of water. All applications must include a 25 ft vegetative buffer strip within the buffer zone to decrease runoff. This product may be applied through properly equipped chemigation systems. See label for instructions and restrictions on chemigation. 24c SLN: ID-100005 (expires 12/31/20). Idaho only.